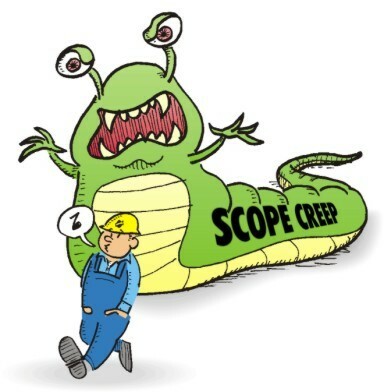 According to Portny, Mantel, Meredith, Shafer, Sutton, and Kramer (2008), “Scope Creep” is the natural tendency of the client, as well as project team members, to try to improve the project’s output as the project progresses.” I experienced scope creep when I was trying to implement a new Staff Development online portal for my school system. This system would allow teachers and paraprofessionals to enter leave requests, field trips and fund raising request online and also track their professional development hours. When the project started, there were many basic reports that were already built I, however as I started implementing and entering all of the data I soon realized that there were many improvements that could be made to make the project more user friendly and tweak it more for the needs of the users. As each step of the project was implemented, I asked for changes that I thought would be beneficial which only delayed the project. We finally agreed to just go ahead and implement the program so that we could use it and make the changes after the fact. The bad part of this is that after three years, I’m still waiting on some changes to forms and reports that I use on a daily basis. Scope creep is sometimes unavoidable, according to Portny, et al (2008); however, the impact of the pain scope creep causes can be reduced if monitored and controlled. Portny, S., Mantel, S., Meredith, J., Shafer, S., Sutton, M., & Kramer, B. (2008). Project management: Planning, scheduling, and controlling projects. Hoboken, NJ: John Wiley & Sons, Inc.
Great example of scope creep. Your example reminds me of when the college I work at transitioned to Cornerstone to manage our professional development training. Project team members were learning the system as they were transitioning to it. As the team members realized what all the platform could do (and couldn’t do), the scope of the project started to change, which caused massive delays in rolling out the system to faculty and staff. The system has been implemented. Though, it’s still not quite where it needs to be. Implementing changes to the system is more complicated than before it was implemented because the system has to be temporarily taken down to make changes.